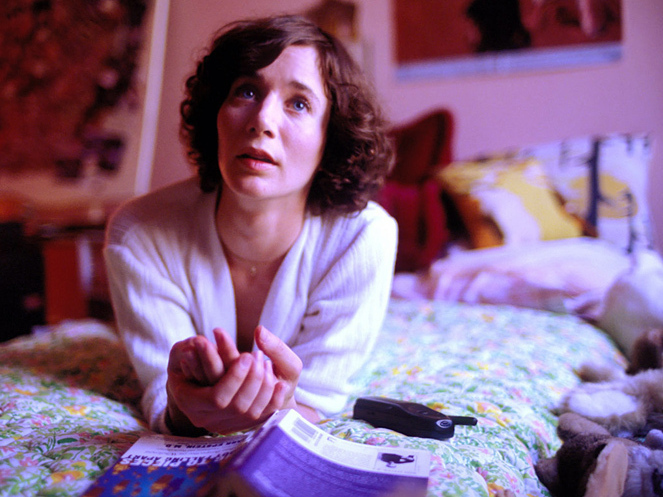 Miranda July: From The Outboxes Of The Noteworthy Filmmaker and artist Miranda July's new project, We Think Alone, blasts emails from some well-known names on intimate topics to anyone who signs up for them. Performance artist Miranda July's new project, We Think Alone, blasts a set of random emails from some well-known names on intimate topics to anyone who signs up for them. Filmmaker and artist Miranda July is blasting emails copied from the outboxes of some well-known names on intimate topics to anyone who signs up. The project is called We Think Alone, and includes messages sent from a range of notable people (who agreed to participate in advance, of course). Those names include the NBA's all-time leading scorer Kareem Abdul Jabar, fashion-designing siblings Kate and Laura Mulleavy of Rodarte, and a Canadian-American theoretical physicist. July asked 10 notables to provide personal emails on a series of 20 intimate topics. In the first round, the first topic was money. Lena Dunham, creator and star of the HBO series Girls, sent out a reply to an email from her assistant about a $24,000 couch. "Decided it's just too expensive," the message said. July says she has 70,000 subscribers in just her first week of operating. Some may be signing up to follow the celebrities, she says, but that was a way to attract a wider audience to the project. "Maybe you're coming in for the celebrity aspect, which is kind of negligible anyway," she says. "But once you're there, your experience is going to be very different than reading Paris Hilton or whatever." July joins NPR's Linda Wertheimer to talk about the project. "You have Etgar Keret, the Israeli writer, wondering if he's asking for too much money, and then you have two authors, Sheila Heti and Helen DeWitt, both quite prominent authors, discussing actually how to make a living, which I think was kind of shattering, but maybe a little comforting to a lot of writers out there, to see that Sheila Heti, who had a hit this year, was working as a temp not too long ago." "Privacy might not exist at all in the ways that we were thinking of. It kind of forces you to maybe become proactive in a territory where we've traditionally just been passive: Unless you share something, it's private. In a way you have to start to sculpt your privacy, and that sculpting becomes a reflection of what kind of person you are, and you see that in this project. Some people manage to get through 20 emails without really sharing anything, and there's an art to that as well." A previous Web version of this story incorrectly identified author Sheila Heti as Sheila Heady.